Today ON1 released Photo RAW 2019.2 with tethered support for the Nikon Z6, Z7 and D850 cameras. 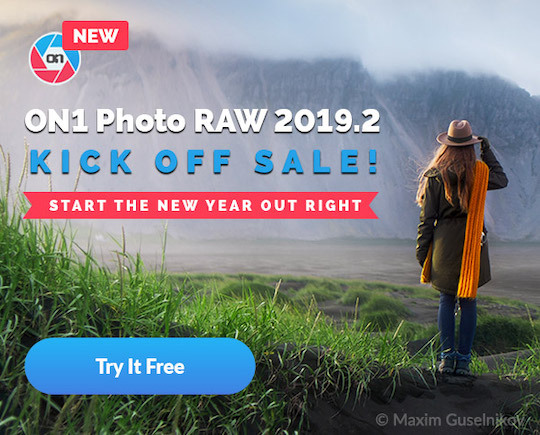 You can get a 30-day trial version of ON1 Photo RAW 2019.2. 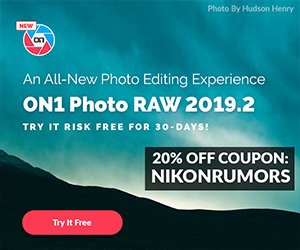 I also have a 20% off exclusive coupon code: NIKONRUMORS - this coupon will discount the regular price for both the upgrade ($79.99) and the full version ($99.99) of ON1 Photo RAW 2019.2. This entry was posted in Nikon D850, Nikon Software, Nikon Z6, Nikon Z7 and tagged ON1 Photo RAW, ON1 Photo RAW 2019. Bookmark the permalink. Trackbacks are closed, but you can post a comment.